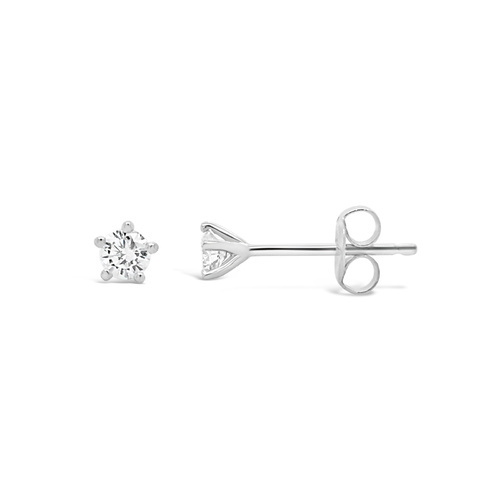 These classic 9ct white gold stud earrings are one of our most popular designs. 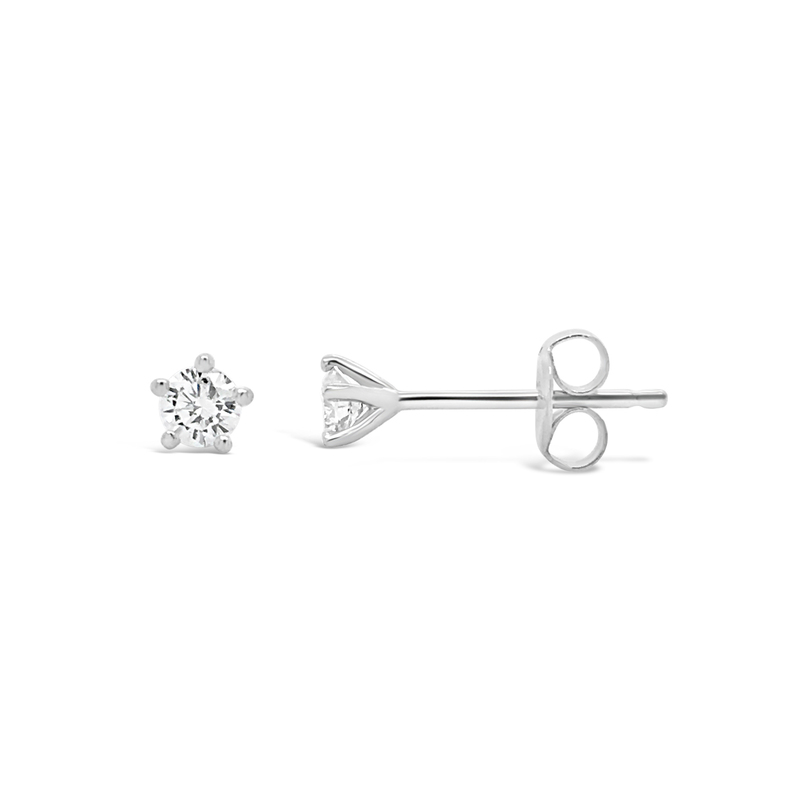 The delicate solitaire design produces a beautiful enhancing sparkle across the ears. Set in an open five claw setting, allowing light to reflect the sparkle and brilliance effortlessly. Style with other white gold and diamond pieces for a statement look!